I am “homeschooling” Hythe this fall. The decision to fore-go traditional preschool came about due to a number of factors, but I was looking forward to trying out homeschooling with a preschooler where the pressure is low, what needs to be taught is pretty simple, and there can be lots of fun activities. So far, it has been fun. 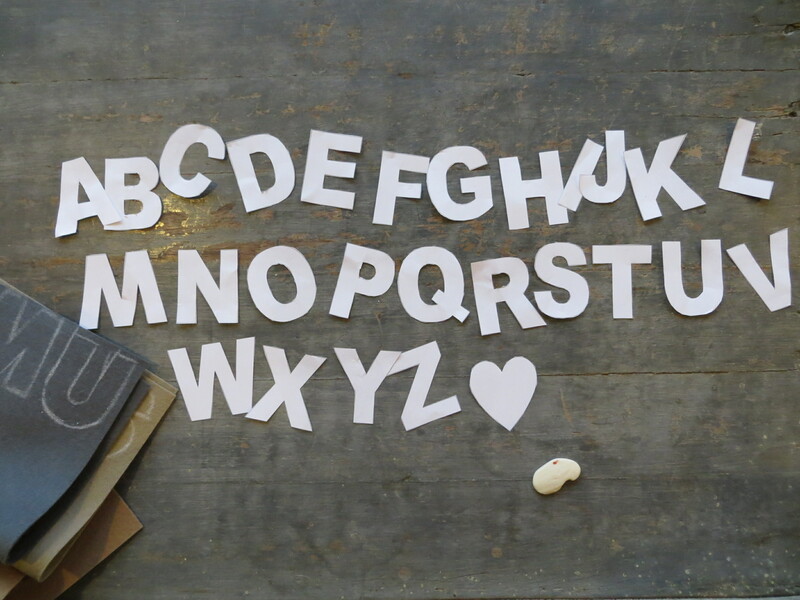 And, this craft has been one of the more fun letter learning activities. I got the idea from the Purlbee and ordered the wool felt from them as well (Hythe picked the colors). I decided not to sew and stuff the letters (i.e. make them 3-D), but to cut two of each letter so that we could make words (and our names) with the letters. Also, a sewing tip I learned from my grandmother is that you don’t need expensive or fancy fabric marking pens if you have a sliver of dry soap. It works great and washes off. The sliver you see in the top picture is actually my grandmother’s soap, found in the sewing kit I got with her old sewing machine. 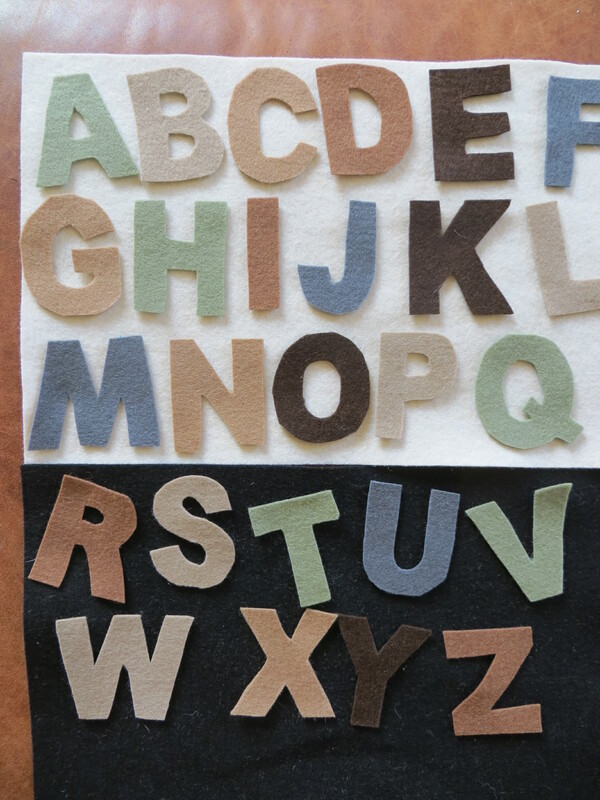 Hythe mainly supervised the letter cutting, arranged them in order, and started solidifying his letter skills. I was impressed at how quickly he learned the letters as we did this project. That activity has also proved fun and Hythe is already learning to read simple words. I can see us using this resource a lot this year. I’m considering how to get my son started on homeschooling also. Luckily we have some time before he starts going to school, and I can do my research and set up a way so I can do it while holding a job. I hope your homeschooling goes well. That is so very clever. Again proud of my girl.